Take Kobe's splendid port lights, Tokyo's stylish shopping complexes, Osaka's nonchalance and Hakodate's mix of tradition and modernity, stir it all together in a spacious pot, add a magic spice and a scent of sea breeze and you'll get a city that has it all. Welcome to Yokohama. 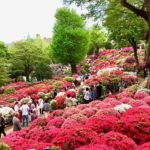 Besting Osaka and Nagoya, Yokohama is the second largest city in Japan by population and perhaps one of the most internationalized areas in the country. 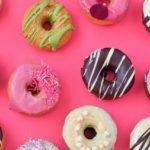 Its appeal stretches far beyond picturesque sights, bayside attractions, hilly neighborhoods and mix of architectural styles. In other words, this lovely port city is where the real action takes place while Tokyo is asleep. Here are our Top 10 picks for activities and destinations in our favorite city by the bay. With over 150 years of history and more than 500 restaurants and shops, Yokohama’s Chinatown is one of the largest (and, being in Japan, cleanest) in the world. Walk the streets and view temples, tourist shops, all-you-can-eat restaurants and more. 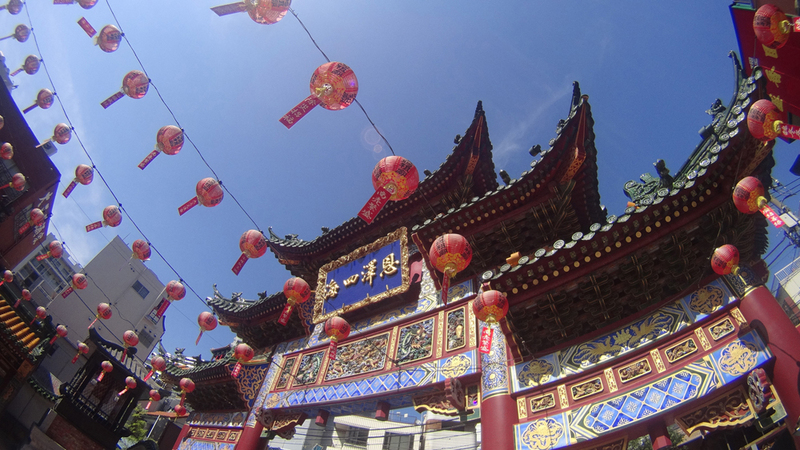 It’s a vibrant place to go in search of anything Chinese, from food to clothing and handicrafts. Access: Motomachi Chukagai, Ishikawacho or Nihon Odori stations. This traditional Japanese garden opened to the public in 1906, encompassing 175,000 square meters of space and 17 historic buildings. 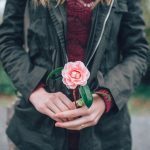 It was once the private estate of a wealthy silk merchant, who personally oversaw its landscaping and design. 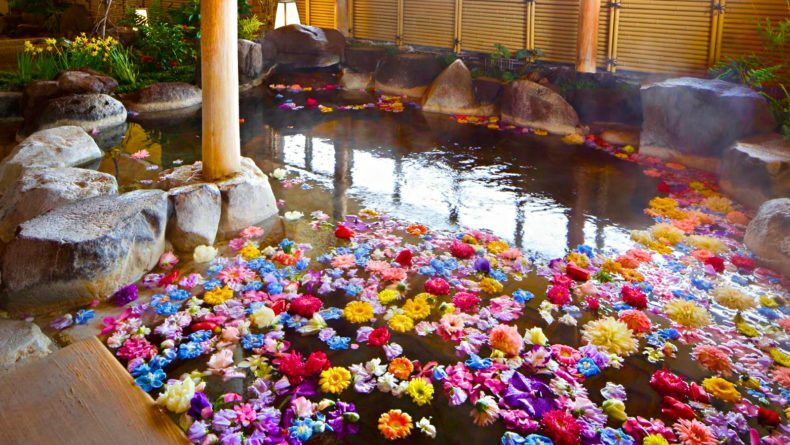 Sankeien features ponds, streams, winding paths and beautiful architecture, all of which make for a relaxing and peaceful day out. Admission is very reasonably priced at ¥500. Access: Take bus No. 58, 99 or 101 from JR Negishi station and get off at Honmoku station bus stop. 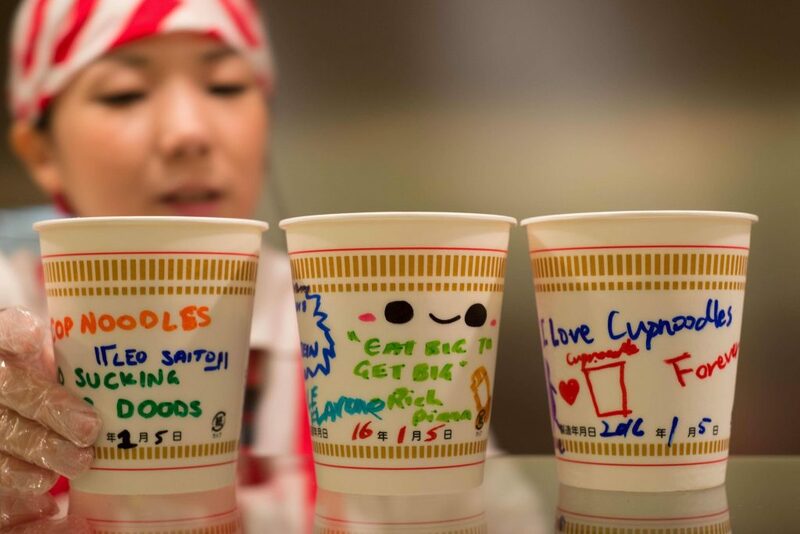 This kooky interactive museum is a favorite among many, as it allows visitors to create their own unique ramen by mixing and matching various soups and ingredients in an iconic cup noodles package. View the history of ramen and let the kids imagine themselves going through the noodle production process at the cup noodles Park. Prices for each section of the Cupnoodles Museum vary, but most are around ¥300. 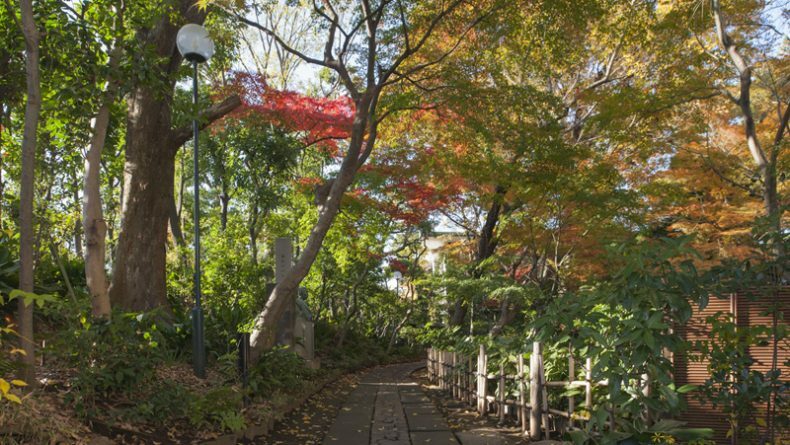 Access: 8-minute walk from Minatomirai and Bashamichi stations. 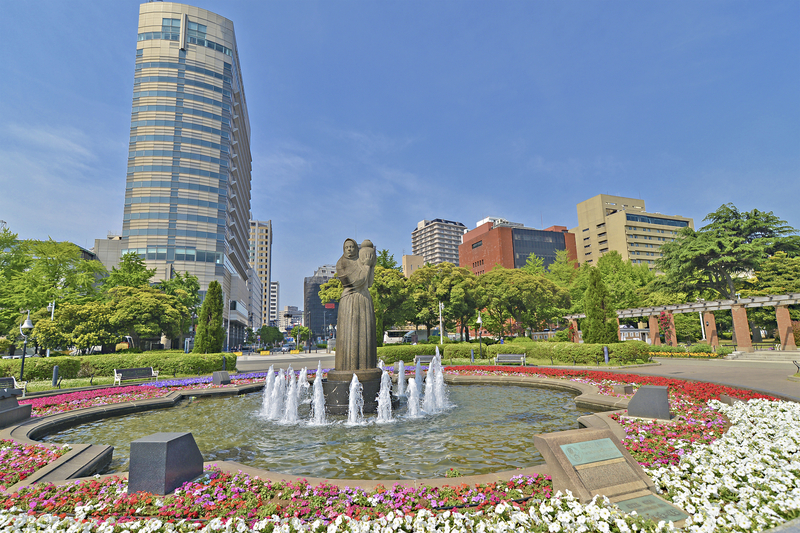 Minato Mirai is Yokohama’s central hub for everything from business to shopping and tourism. Located on a large expanse of land along Tokyo Bay, Minato Mirai has so much to offer that you could easily spend an entire day there. There are over 600 shops, more than 200 restaurants, a theme park with some hair-raising rides that also provide fantastic seaside views, hotels, a convention center, and Yokohama Landmark Tower — the second tallest building in Japan. The area is also home to the Yokohama Museum of Art and the Nippon Maru, a four-masted sail training ship and museum that is permanently docked in the harbor. Access: Minatomirai or Sakuragicho stations. 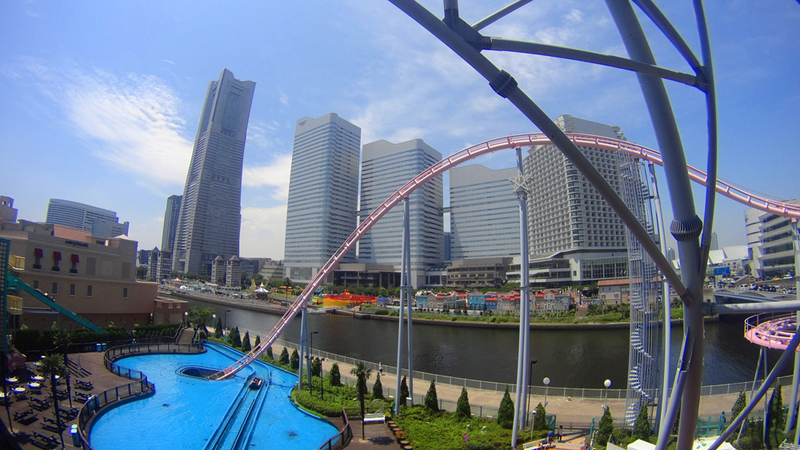 Yokohama Cosmo World is the amusement park located in the Minato Mirai complex, but it deserves its own attention. 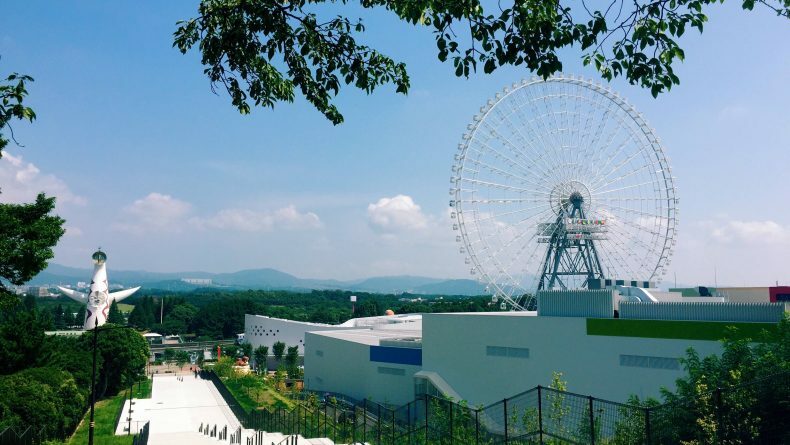 Rides include a 112.5-meter-high Ferris wheel with seats for 480 passengers, roller coasters (including one that seemingly plunges into a pool of water), and a log raft ride. 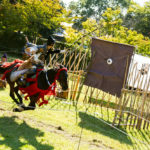 There are also several children’s attractions, plenty of food stalls and both indoor and outdoor game areas. 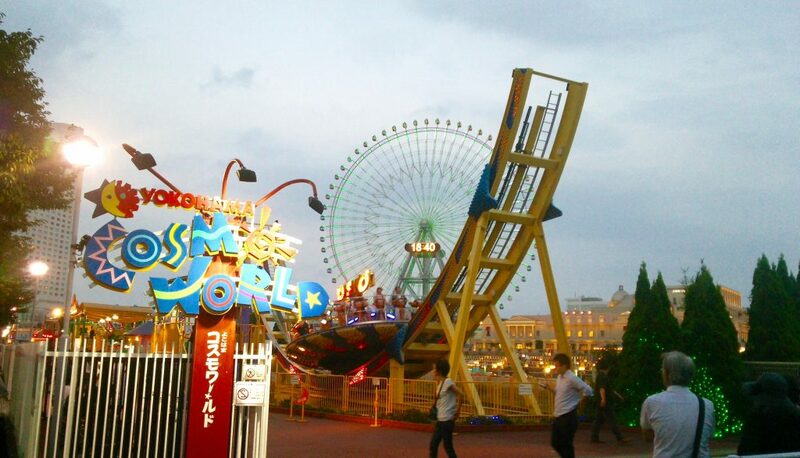 Tickets are priced per attraction, with most ranging between ¥200 and ¥800 per ride or use. 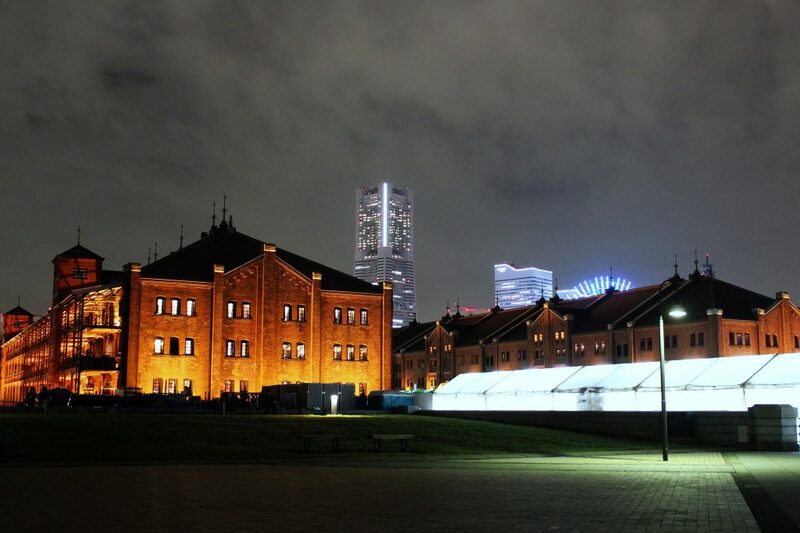 Known in Japanese as Yokohama Akarenga, the two historic buildings that make up the Red Brick Warehouse served as the customs house for Yokohama’s shipping activities in the 1920s. The warehouses closed in 1989 and underwent extensive renovation before opening to the public as a cultural and commercial facility in 2002. Divided into two buildings, one includes a concert and performance hall and a handful of artisanal shops, including a glass workshop and pottery and silk shops, while the second houses approximately 40 shops and restaurants. An ice skating rink erected each winter is popular with both families and couples. The view of the ocean also makes this place the perfect romantic spot both day and night. Access: Bashamichi or Nihon Odori stations. 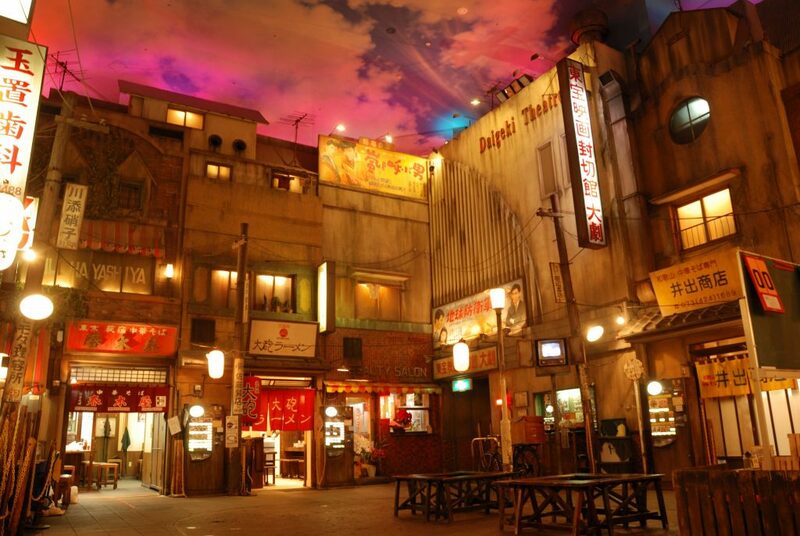 This “museum” claims to be the world’s first “food-themed amusement park,” but neither term accurately describes what it really is, which is essentially a food hall dedicated to ramen. Various shops spread across three floors serve ramen from different regions of Japan, each using a different type of noodles, broth, and toppings. There is also a kitchen in which customers can create their own ramen combinations. Considering Yokohama’s cosmopolitan history and Chinese influences, it seems only fitting that a place dedicated to ramen—which originated in China—would be located here. Access: Shin-Yokohama station, Exit 8. 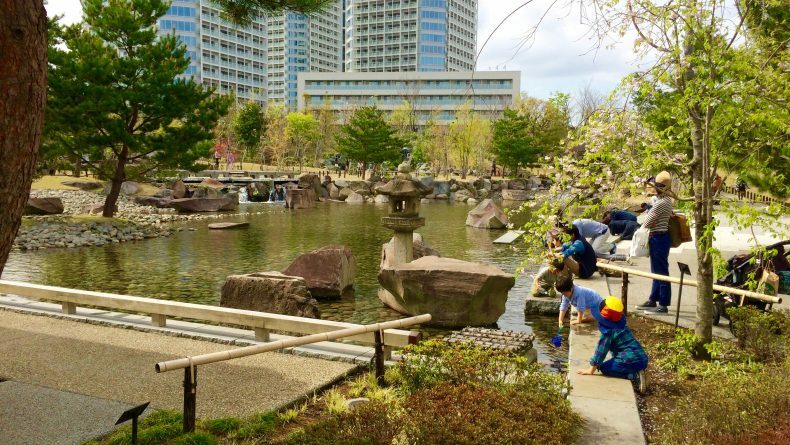 Unlike the traditional Japanese gardens of Sankeien, Yamashita Park is full of manicured lawns and European-style garden areas, as well as various statues, monuments and fountains. It stretches nearly 700 meters along the waterfront and entrance is free and open to the public, making it the perfect place to rest and recuperate after a long day of sightseeing or shopping. Access: Motomachi Chukagai station, Exit 4. Home to the first major commercial brewery in Japan, Yokohama has a rich history when it comes to beer. 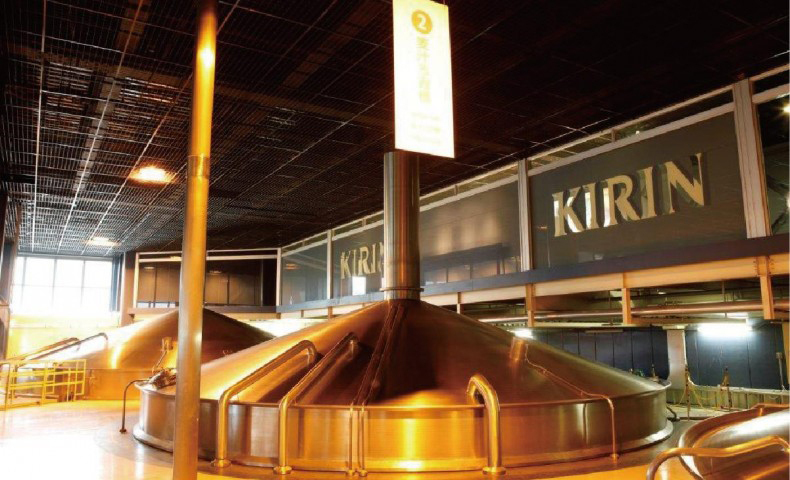 Visitors to Kirin’s beer factory can tour the facility while learning about the history of beer and its production process. 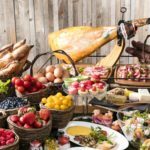 The tour ends with a tasting of freshly brewed beer, and visitors can then choose to stick around for a meal or drink at the restaurant or pub area. Located on a man-made island in Tokyo Bay, Sea Paradise is an amusement park that is also home to one of Japan’s top aquariums. 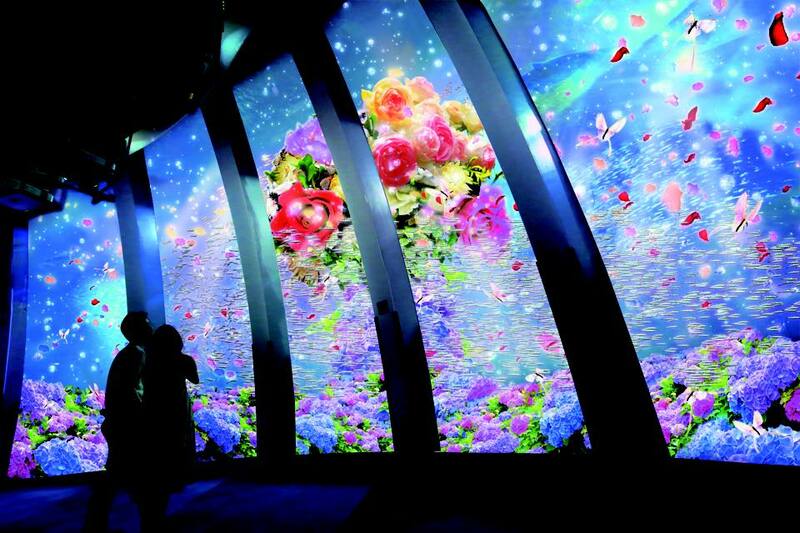 Over 500 varieties of fish and a total of 100,000 sea creatures are on display, with an undersea viewing tunnel providing a unique perspective. The park also has rides including a large carousel and a roller coaster that takes passengers out over the water.